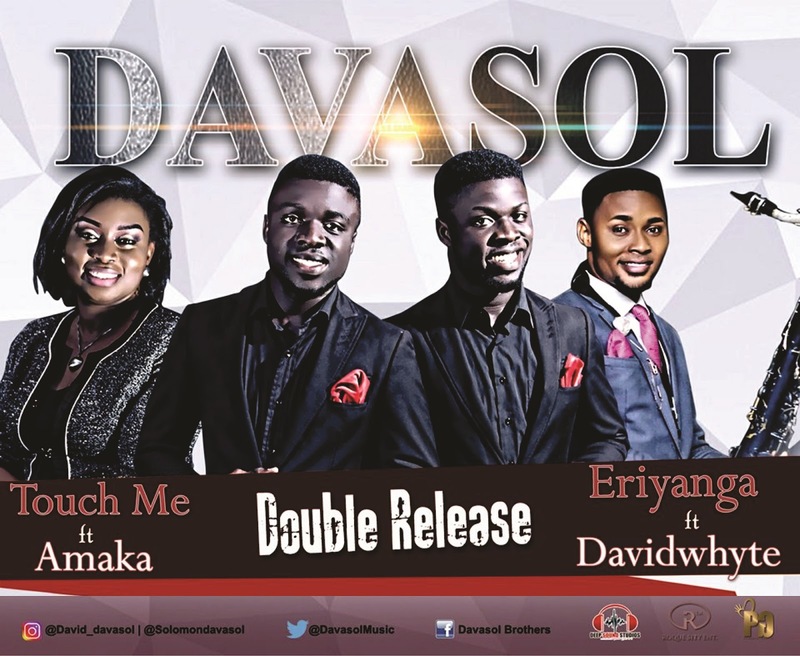 Today, we premier the much anticipated double singles from the gospel twin duo popularly known as DAVASOL. The brothers are known for their singles, IBUCHI and SI’IMADO. They have also recorded and released other songs but the resounding impact of these two songs has been major highlights of their music ministry. They resolved to put together two new singles and have them get to you right before the year runs out. Yes, it is a double release and we have them right here for your listening pleasure. The new singles are titled TOUCH ME feat Amaka and Eriyanga feat. DavidWhyt. The first one sets you in a deep mode of worship and the second comes to get you moving your body gently as you vibe to its soulful rendition and enrapturing sax tunes from DavidWhyt. Both songs are classics that are of indeed great quality. The Davasol Brothers have indeed shown growth through the years. These two songs are an attestation of that. 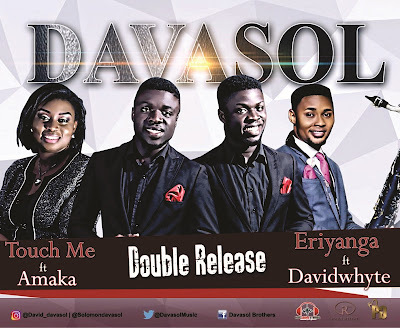 They also made just the right choice by working with both Amaka and DavidWhyt on these singles.